Revamp your casual collection with this A-line dress from AND. 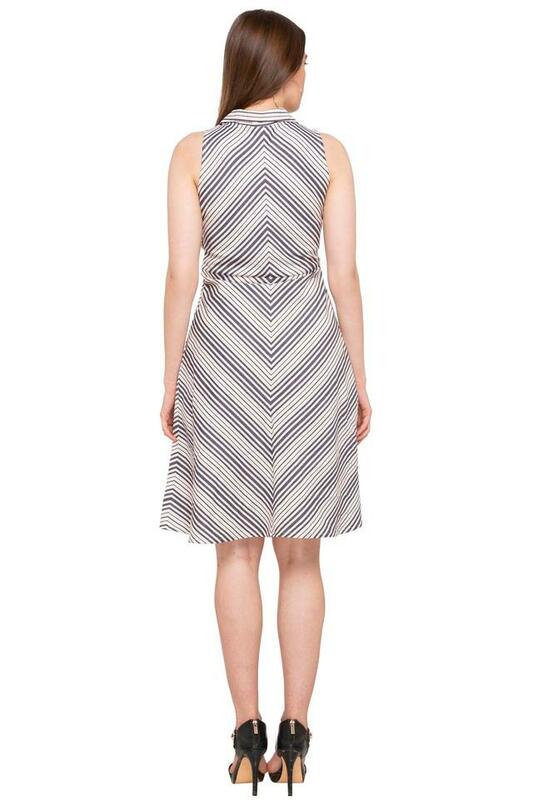 This trendy sleeveless dress features a V neck and striped pattern which possesses a stunning chic look. Besides, it has been made from a good quality fabric which is comfortable to wear. 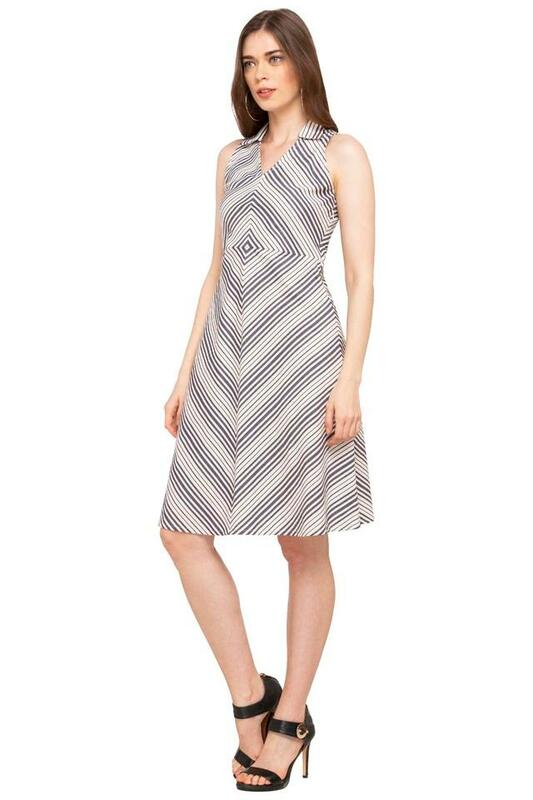 Add a contemporary edge to your looks with this A-line dress. Charm the world by coordinating this dress with a pair of strappy flats.